A founding director of EarthSense, Roland is passionate about innovate technologies with a background in the space sector. 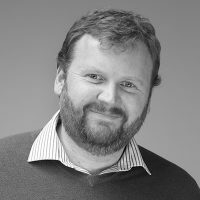 With an academic background encompassing over 17 years of air quality research at the University of Leicester, Roland focused on technological developments for environmental research which has since supported the development of EarthSense products and services. Now Technical Director, Roland is responsible for leading EarthSense’s innovative new technical developments and building new products and services with a vision for sustainable urban development, smart cities and improved human health. EarthSense has ambitious plans for the future of air quality solutions: enabling better decision making through improved information.